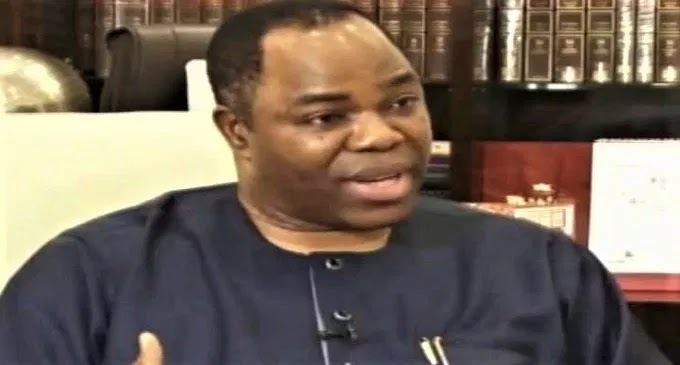 The Economic and Financial Crimes Commission (EFCC) on March 6, 2019, arraigned Tunde Ayeni, a former Chairman, Board of Directors, Skye Bank Plc, before Justice Valentine Ashi of a Federal Capital Territory, FCT High Court, Apo on a four-count charge, bordering on criminal breach of trust to the tune of N4,597,500,000. Mr Ayeni was arraigned along with Timothy Oguntayo, for allegedly conspiring at different times to fraudulently divert depositors’ funds domiciled at Skye Bank Plc to personal use. The trial judge, thereafter, admitted them to bail in the sum of N500 million with two sureties each in like sum, who must be resident in Abuja, and must own a landed property “of sufficient value”, within Abuja metropolis. The matter was, thereafter, adjourned to May 14, 2019, for “commencement of trial. *The EFCC is yet to arraign those on the list of looters they said they compiled since last year.....We are still waiting oh. No one is calling this witch-hunting o. Except if it is their PDP thieves then they will stand for them. The face of another Nigerian public purse looter and thief. What a disgrace to his community and the world. Did you notice that they were not remanded in prison pending when they meet their bail conditions all because they’re are wealthy. Our justice system is flawed.